Today I have the pleasure of welcoming Jen Beaumont to Mahi and Aroha. Jen is one of the participating designers in the GiftAlong 2014 and has some gorgeous colourwork designs in her portfolio. I particularly love her pixelated designs. How did you get started designing? Where do you draw inspiration from? I started designing when I was inspired to knit a hat with a certain color combination and contrasting pattern and I couldn’t find a pattern that already existed. Shortly after, a friend asked me to write it up so that she could make one, and I found that it felt quite natural to me. I enjoy solving math problems and complicated puzzles. I didn’t have an intention to “be a designer”. Now that I have started, I can’t stop “designing”. I continue to be inspired by the nuanced COLOR created the amazing dyers that are working right now, and usually certain color combinations and patterns. I also look at fashion photography and can be inspired by a fabric or a shape of a sweater’s collar, and bam… I usually make drawings or watercolor paintings first, and then search out the perfect yarns and swatch, swatch, swatch… The climate is very cold in winter where I live, and I have found that stranded sweaters really help keep me warm. I have been working on a series of stranded sweaters that I unofficially call “winter armor” because of the warmth and structure of the densely stranded patterned fabrics. How does designing fit in with the rest of your life? It is a full time job, part time job, or other? If you do a different job full time, is designing at all related? I have two young children and we are homeschooling, and I also have another part-time teaching business. The designing isn’t related to these other things but I think that my other work contributes to who I am as a designer. I think I am happier when I have my hands in a few pots. Your designs draw heavily on the interplay of colours - is this something that you’ve always been attracted to? Why colourwork? From an early age I was obsessed with color and loved to paint or draw with colored pencils and when I was in college, I was co-enrolled in the School of Art along with my academic studies (both in science and writing), and studied painting and color. I have a strong visual bent. As a child I had a photographic memory. Today, I may see a fabric or a color combination in nature and I hold onto it for awhile in memory and it grows into my designs. I am interested in not just one color, but its interplay with another contrast, or several, which is why patterned fabrics have inspired my design process. Stranded color work has been a means to painting with yarn I suppose. I am strongly attached to the original color combination that I visualize, although sometimes it multiples, and I have to see other color combinations in the same pattern. I don’t think about what would be popular but I will knit duplicate samples because of this need to see the interplay of other colors. What’s next for your design line? Is there anything you want to tell us about? For example, I am currently working on publishing my Polar Prism Cardigan which has a prismatic stranded pattern over all the cardigan. I am in the process of knitting another version using Rain City Knits yarns with a navy-black background, with hot pink, hot coral, and bright orange gradient for the “prism tiles”. I live in a place where it is quite cold, and snowy, and gray for many months of the year, in West Michigan, and all this color work really brightens and warms up the days. 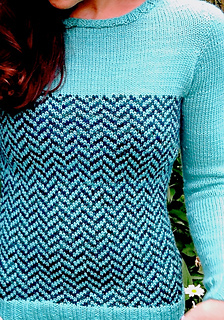 After this design, which is almost done with technical editing, and nearly ready for test knitting, I have another design that will be worked in Rain City Knits yarn and it is inspired by a Chanel coat, worked in a surprising stitch pattern and color combination… Another stranded sweater design will be published by Stitch Seekers in February, and I have another that will be in the Midwestern Knits book this summer, worked in a West Michigan dyer’s yarn, The Plucky Knitter’s Plucky Single. If there is time between these projects, I plan to work up some stranded sweaters for my children. Thanks Jen for stopping by, it was great to learn more about you and your design process. 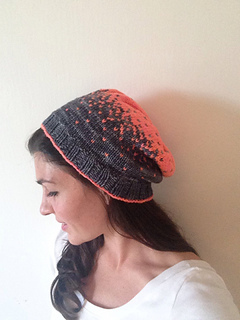 I am giving away one of Jen's patterns to a lucky reader. Just comment below which pattern you would like to win and your Ravelry name. Will close for comments midnight Monday 1 Dec (NZT). I love them all, but the sweater is my fav! I definitely want the Pixelated Pullover, it's gorgeous! great interview. I am really enjoying the gift-a-long and finding so many new-to -me designers to follow. 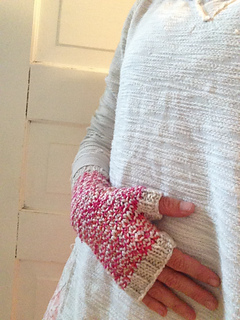 I love the tessellated pullover and also the pixel mitts. I would love to knit a pixelated hat. jemmaj on Ravelry. Nice blog and thank you so much for share your good piece of content with us.I like it.